Sundays race will take place at 07:00 AM UK time and will be broadcasted live on SkyF1 in United Kingdom we will be placing live streaming links for the race 1 hour before the schedule time. While once the race is over you can tune in here to see the full race replay video and highlights which will be available for 24 hours on this page. Lewis Hamilton managed to grab the pole position after the saturdays qualifying rounds in Shanghai International Circuit for the Formula 1 Chinese Grand Prix and this was his fifth pole position at this circuit and he is all set for Sundays big race to win back to back grand prixs in china. 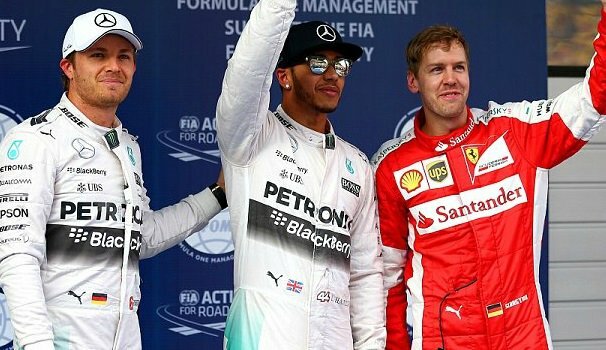 Hamiltons teammate Nico Rosberg finished very close second with only 0.042secs difference while Malaysian Grand Prix winner Sebastian Vettel was third. Here are the downloadable content from the Qualifying. The links provided below has the full coverage of SkyF1’s Saturdays qualifying session. We post full race video after the grand prix is over and come this sunday morning as soon as the race is finished we will be uploading a complete replay video. For now we have posted the full race replay of Malaysia Grand Prix which took place couple of weeks ago where Vettel won the race. You can check back 1 hour after the race to get the full replay up and running on this page, remember video will only be available for 24 hours after the race. Commentary and coverage are likely to be from FoxSport with latin coverage and commentary. Also there will be downloadable links for the entire race and the qualifying rounds right here.